Oh Baby Booties! (Ravelry) – I think I love this pattern! I’ve made another pair for FB’s Waldorf Doll (which I’ll post about soon), and I’m sure there will be more on my needles very soon. These are knit in test yarns from when Oxford Kitchen Yarns was really in it’s infancy. 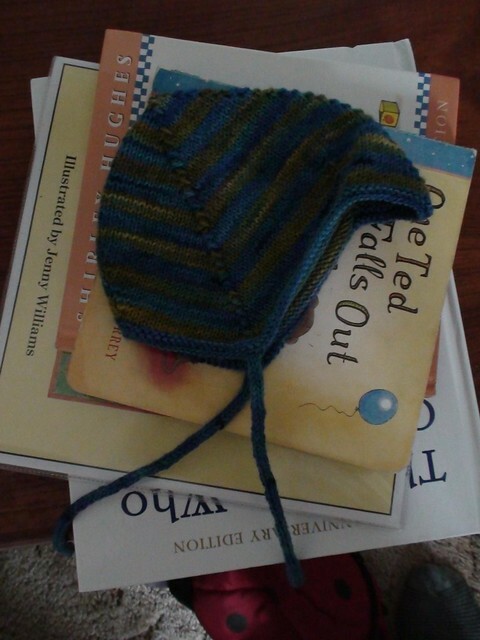 Pilot Hat (ravelry) – This was made using 21st Century Yarns left overs from two previous projects. (Lovely stuff!) 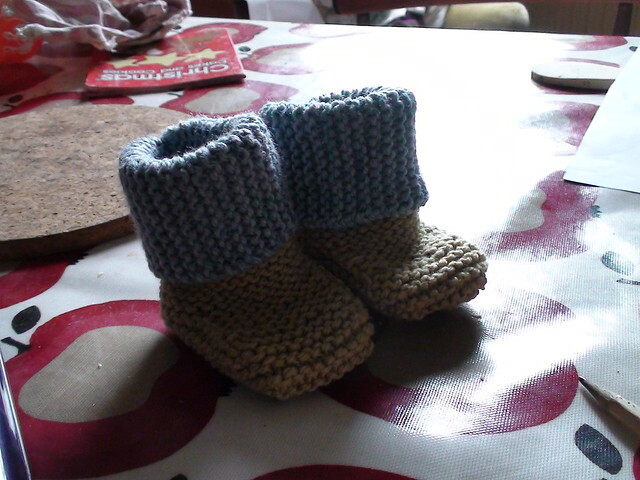 This was another really fun, quick knit, and again I can see myself knitting more of these if they prove useful. ← Still here – let’s talk about Apples. Just gorgeous, really lovely. 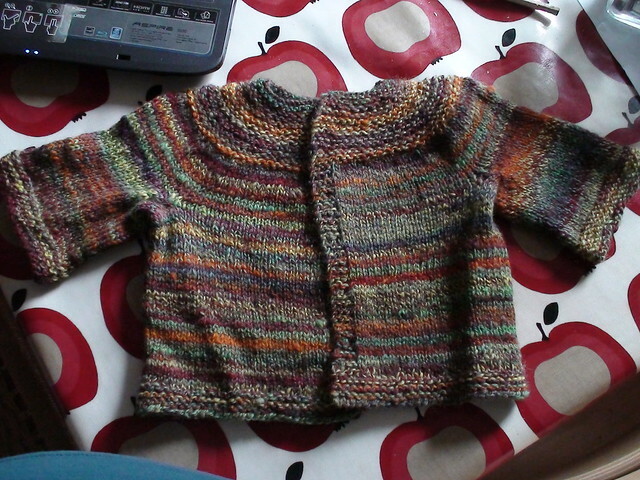 I especially like the handspun baby sweater.